John O'Regan's Blog. : ENERGIA 24-HOUR RACE IS OFF TO THE SEASIDE! The third edition of the Energia 24-Hour race will be staged at the 8-lane Sportsplex in Bangor, County Down on July, 6/7 2012. The move to the seaside, 12 miles from Belfast, has been necessitated by the closure of the Mary Peters’ track because of the redesigning of the complex to bring it up to international standards. The event is the only round-the-clock race in Ireland and for the second year in a row will carry the kudos of Irish Championship. “ We have a tradition of great ultra runners in Ireland and I’m proud to give them this platform- along with all our overseas visitors - on which to show what they can achieve on home soil,” says Smith. Last year Kildare’s John O’Regan posted figures of 132 miles covered in winning the men’s race and Killaloe’s Deidre Finn won the women’s championship running 112 miles. In total some 18 ran,walked,staggered and crawled past the magical 100 miles including Everest conqueror Lynne Hanna and Gerard McCann who began running 3 years ago to help him quit smoking and lose some weight. Energia, Ireland’s leading independent energy business, is back for the third year as title sponsor. Energia’s Marketing Manager Michael Ringland says : “ This event highlights exactly our brand values: Smart, committed, competitive. A great idea with committed runners, all done in an extremely competitive nature. 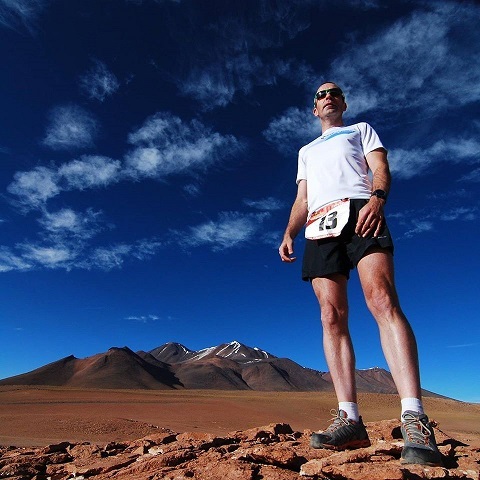 There are three races on offer: The full 24-Hours, a 12-Hour option ,won by Sean McCormack from Wales in 2011 with just under 69 miles covered; and there is also a team relay.Team Orangegrove set the bar high last year at 170 miles. The two races in 2010 and 2011 have carried ‘bronze’ labels from the world governing body and this year it is hoped to secure a ‘silver’ label – as it looks to bid for a European Track Championship in 2013. A big thank you to Transport Services at the South Eastern Education and Library Board who supplied the bus to bring the kids from Crawfordsburn PrImary School to help ‘trace out’ the ‘24’ for the event launch at the Sportsplex. 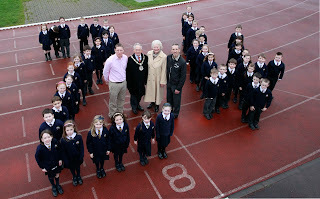 PHOTO( Dame Mary Peters with North Down Mayor James McKerrow, Energia’s Chief Operating Officer Tom Gillen(pink shirt) , Race Director Ed Smith and the children of Crawfordsburn Primary School. For more information contact Ed Smith at ed_n_smith@hotmail.com or 00447740818389. I guess that means I'll see you there, John? Thanks for reading Tim! You really should do one but you know what don't feel that you have to do a 12 hour or six hour race to qualify for it. I'd only ever done a six hour race a few years before. I figured 12 hours I could do 24 was were the real challenge lay. That was more the unknown. Only one way to find out about an unknown tim......thats to just do it!